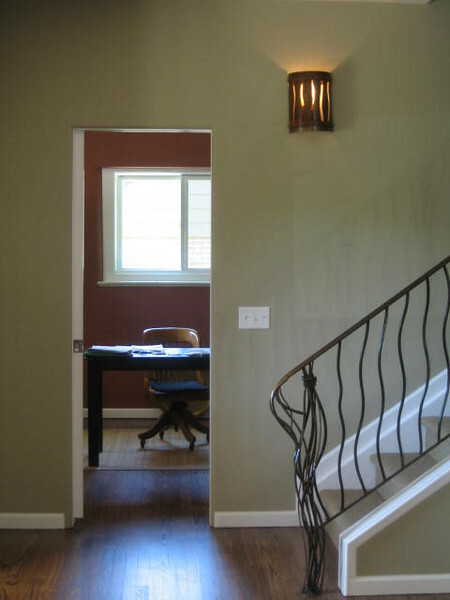 Custom railing and sconce. Natural color tones throughout the home. 1,200 s.f. addition with pop-top and whole house remodel.